Curious minds: Jahnavi Iyer and classmates dissect a sheep’s heart at the Yuving Secondary School in Singapore. 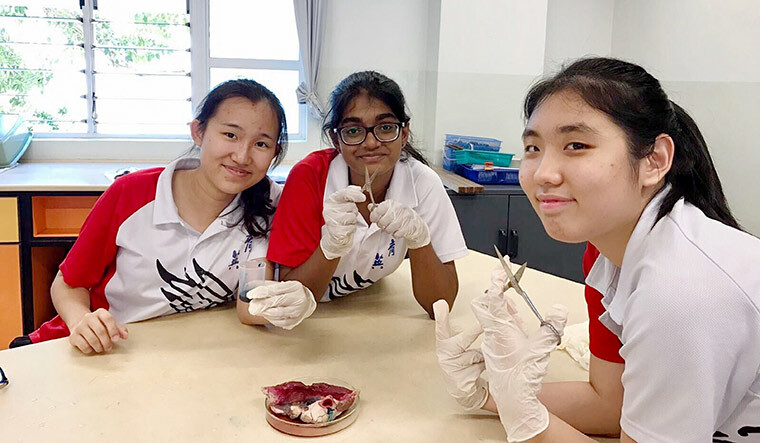 When Jahnavi Iyer’s biology teacher at the Yuving Secondary School in Singapore found that Jahnavi and a couple of classmates were curious about the sheep’s anatomy, she gave them a sheep’s heart to dissect. It wasn’t in the syllabus. The teacher took the decision on her own; she had the flexibility and resources to do so. It is an everyday example of Singapore’s approach to school education, arguably one of the best in the world. This all-round approach to education has not affected Singapore’s reputation as the best test-taking nation in the world. In 2016, Singapore ranked first in two prominent international tests. One, the Trends in International Mathematics and Science Study (TIMMS), held every four years for students aged 10 to 14, by the Amsterdam-based International Association for the Evaluation of Educational Achievement. Two, the Programme for International Student Assessment (PISA), which is dubbed ‘The World Cup for Education’. The PISA is conducted triennially by the Organisation for Economic Cooperation and Development (OECD) for 15-year-olds in maths, reading and science. Practical learning: Studying a plant at a class outdoors. Started in 2000, the PISA has gained prestige, especially among politicians, who use the scores as a yardstick of their country’s intellectual potential and progress. Besides testing the cognitive skills of students, the two-hour test assesses their ability to solve problems in new and unfamiliar conditions. Indian students are reputed internationally for excelling in science and maths. So, it came as a shock when India ranked low (72nd among the 74 countries) in the PISA in 2009. The Union government dismissed the results, saying the questions were ‘out of context’ for Indian students and then boycotted the PISA tests of 2012 and 2015. Hence, today, we do not know how 15-year-old Indian students size up against their international peers. Students work on a project at their school’s art and environment club. Still, it is worth looking at how this small Asian country developed into an education powerhouse, overtaking the wealthiest countries in Europe and North America. 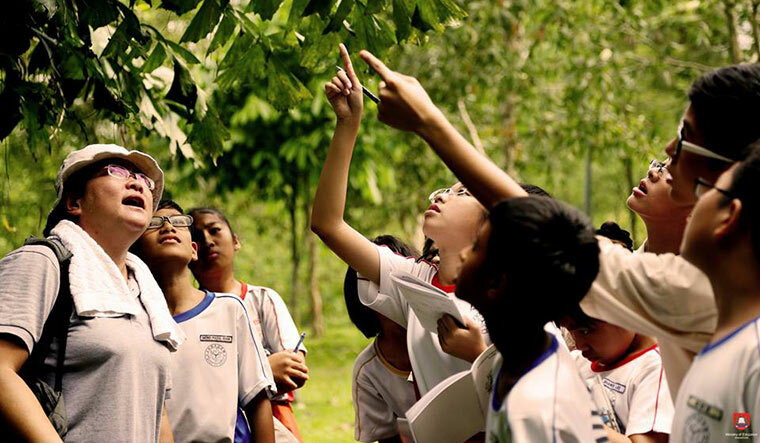 Today, educators from around the world visit Singapore to understand how it has achieved this feat. Singapore invests heavily in the quality its teachers. They are recruited from the top 5 per cent of graduates, and all teachers are trained at the prestigious National Institute of Education (NIE). There is also a comprehensive system for training, compensating and developing teachers and principals. The best graduates are attracted to teaching as there is high prestige and status associated with the profession. The ministry of education (MOE) plays an active role in monitoring, evaluating, modifying and upgrading the system. There is optimum alignment between teachers, the NIE and the MOE, which makes the system successful. 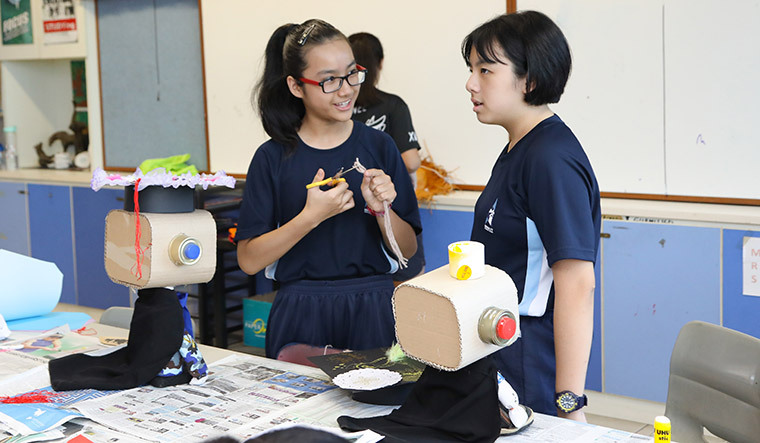 In recent years, the MOE has been moving to a system that is more flexible and diverse, with the aim of providing students with greater choice to meet their different interests and ways of learning. There is also a focus on ‘Teach Less, Learn More’. When the PISA and TIMMS results were published, the MOE said the results highlighted the deliberate curricular shifts it has made over the years to trim syllabi, give more time to higher order thinking skills, and make students learning rather than teaching the focus of a school’s effort. 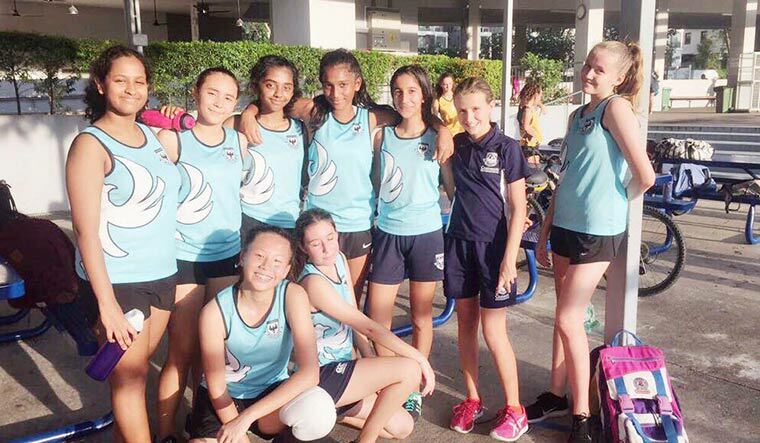 All-round education: Neha Vivek (standing, third from left) and classmates at the Chatsworth International School, Singapore. The stress begins at a very young age. The most dreaded abbreviation in Singapore, perhaps, is PSLE: the Primary School Leaving Exam, a public exam taken when students are 12 years old. The exam pretty much determines a child’s academic future. The high scorers gain entry to the best secondary schools and are allotted the ‘express’ stream which fast tracks them for university education. The others are streamed into the ‘normal academic’ or ‘normal technical’ courses, which have a more complicated route to technical and vocational education, and for some, to university. Singapore is one of the few countries in the world to have a high-stakes examination for children as young as 12. Hong Kong, too, had a similar exam, but it was done away with a few years ago. In March 2017, India’s Central Board for Secondary Education (CBSE) mooted a similar concept; for a uniform assessment policy for classes six to eight. But in January this year, the CBSE repealed the decision, as the National Commission for Protection of Child Rights had objected that it violated the Right to Education Act. Clearly, having uniform assessments for children so young is increasingly seen as undesirable. In response, Singapore is changing the scoring system of the PSLE to reduce stress. The MOE has also shifted focus from academics alone, to holistic development of the child. While Singapore has recognised the flaws in its system, and has made relevant changes, what key aspect can India take away from it? Improving the quality of teaching is clearly an imperative. Systemic changes need to be made in the way teachers are recruited, trained and compensated, across all school boards. Unlike Singapore, in India, it is not possible to standardise the quality of teaching, facilities and investment across the country, as education features on the Concurrent List in the Constitution; this means that each state drives its own agenda.